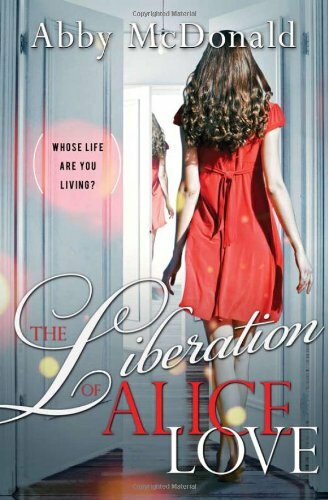 Alice Love is completely obsessive when it comes to keeping her career and life as organized as possible, so when her debit card is declined for a small amount, she is sent into a tailspin. It comes to light that an old, so-called, friend has stolen her identity which opens up a whole new world for Alice. Alice is honest, forthright and a bit shy, so she can't even begin to imagine that anyone would take advantage of her. This forces her to examine her life lived in detail and confront the thief. This story is about how faced with the absurdity of fate, once can develop into a stronger and more self resilient person. This story could have been ripped from the headlines since identity theft is such a common problem these days that can totally damage a person both mentally and financially. Alice has been through both since she is forced to move home after her rent check bounces and she finds the theft has not only taken all of her money, but her credit as well. One point that bothered me was that the bank was not very helpful in helping resolve this, but then, Alice would never have taken her obsessiveness to track down the thief. There are many plots twist, travels to exotic locations (LA!) as Alice tries to expose the person and their reasons for ruining her life. In the end, Alice discovers herself and learns more than any amount of money could buy. I also loved Alice's step-sister Flora, that was the sunny voice of optimism and tried to help her out. This could almost be classified as chick lit, but it has a lot more thought than shoes in it. If you enjoy Madeleine Wickham, you will love this one. I received this book as no expense in exchange for my honest review. This giveaway is sponsored by Sourcebooks and ONE copy will be available. +1 Subscribe to her blog via RSS there! What a great giveaway. I really liked both her previous books. I was surprised (and happy) to see at her blog that Boys, Bears & a Serious Pair of Hiking Boots was been named the YA winner of the Green Earth Book Award 2011. Very nice! Awesome review! Lovely book cover, too. Thanks for the giveaway! this book sounds excellent! i haven't heard much about it.